ALS is an abbreviation for the disease, Amyotrophic Lateral Sclerosis. Also known as “Lou Gehrig’s Disease”, ALS is a progressive degenerative disease that affects the nerves that control voluntary movements and muscle power. The specific types of nerves affected are the “motor neurons”, located in the brain and spinal cord. These are the nerves that serve as a communication link between the brain and the muscles that they control. With degeneration and eventual death of the motor neurons, muscles weaken, waste away (atrophy), and ultimately cease working. At this time, there is no known cure for ALS with most people living only 3 to 5 years following its diagnosis. What are the symptoms of ALS? The onset of ALS is typically very gradual with initial symptoms being so subtle that the diagnosis may be overlooked. Early symptoms include fine muscle twitches called fasiculations, muscle weakness affecting the hand, arm or leg, and slurred speech. Over time, the muscle weakness may become more profound with disturbance of normal walking gait, difficulty with performing fine motor activities, such as buttoning a shirt, or excessive fatigue of the arms or legs with minimal exertion. Eventually, the muscles that control the important functions of chewing, swallowing, and breathing are affected by the nerve degeneration. What causes ALS? There is no known cause for ALS, although environmental and genetic factors have been suspected. Some of the environmental exposures suspected (but not confirmed) of causing ALS include heavy metals (e.g., lead and mercury), solvents, radiation, and agricultural chemicals. Military veterans who were deployed to the Gulf region during the 1991 war have been approximately twice as likely to develop ALS as compared to military personnel who were not in the region, although the reason for this has not been determined. About 5-10% of ALS cases occurs within families and is related to a genetic mutation. This is called “familial ALS” and can be passed down through generations. Genetic testing is sometimes done to look for the possibility that ALS is related to a gene mutation, but in general, this is only done when someone has symptoms of ALS in addition to having a family history of ALS. A more thorough discussion of genetic testing for ALS and when it is most appropriately employed can be found on the ALS Association website. The great majority of ALS cases occur sporadically, with no family history of the disease. Most people who develop ALS are between the ages of 40 and 70, with an average age of 55 at the time of diagnosis. How is ALS diagnosed? Typically, ALS is confirmed by a neurologist after reviewing the person’s symptoms and physical signs, and performing certain tests and procedures. Tests could include magnetic resonance imaging (MRI) of the brain, muscle biopsy, electrodiagnostic testing (nerve conduction velocity and electromyography), and spinal tap. Is there a treatment for ALS? 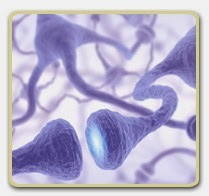 Motor neurons send signals to one another via chemical substances known as neurotransmitters. In ALS, an excess of one these neurotransmitters, an amino acid called glutamate, has been found to be present in the brain and spinal cord. Too much glutamate is thought to lead to excessive nerve stimulation and damage to the nerve cells. This knowledge has led to the development of riluzole, the only currently available medication used to treat the symptoms of ALS. Its major function appears to be a reduction in the release of glutamate by the nerve cell. Current research indicates that riluzole prolongs the life of persons with ALS by only a few months. Other than riluzole, treatment of ALS is directed primarily at its symptoms. This can include medications to help with muscle cramps or spasticity, physical therapy, nutritional support, and speech therapy. Antidepressants may be used for accompanying pain or depression. When the muscles controlling breathing are no longer able to function, mechanical support with a ventilator becomes necessary for survival. ALS is a relatively uncommon disease in the U.S. with approximately 5,600 new cases being diagnosed each year. With up to 30,000 Americans living with the disease, however, it is one that many people have familiarity with through friends or family members. Hopefully, future research will shed additional light on its underlying cause as well as producing an effective treatment.